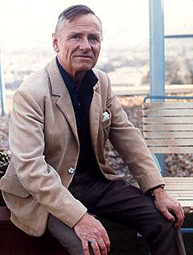 Christopher William Bradshaw Isherwood (August 26, 1904 � January 4, 1986) was an English novelist. Isherwood attended preparatory school St. Edmund's, Surrey, where he first met W. H. Auden. He deliberately failed his tripos and left Corpus Christi College, Cambridge, without a degree in 1925. For the next few years he lived with violinist André Mangeot, working as secretary to Mangeot's string quartet and studying medicine. In 1925 he was reintroduced to W. H. Auden, and became Auden's literary mentor and partner in an intermittent, casual liaison, as Auden sent his poems to Isherwood for comment and approval. Through Auden, Isherwood met Stephen Spender, with whom he later spent much time in Germany. In 1928-29 Isherwood studied medicine at King's College London, but gave it up after six months to join Auden in Berlin. In September 1931 the poet William Plomer introduced him to E. M. Forster; they became close and Forster served as a mentor to the young writer. He worked as a private tutor in Berlin and elsewhere while writing the novel Mr. Norris Changes Trains (1935) and a series of short stories collected under the title Goodbye to Berlin (1939). 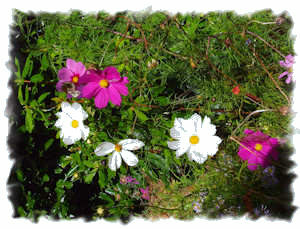 These provided the inspiration for the play I Am a Camera, the subsequent musical Cabaret and the film of the same name. After a trip with Auden to New York, Isherwood settled in Hollywood, California. He met Gerald Heard, the mystic-historian who founded his own monastery at Trabuco Canyon that was eventually gifted to the Vedanta Society of Southern California. Through Heard, who was the first to discover Swami Prabhavananda and Vedanta, Isherwood joined an extraordinary band of mystic explorers that included Aldous Huxley, Bertrand Russell, Chris Wood, John Yale and J. Krishnamurti. He embraced Vedanta, and, together with Swami Prabhavananda, he produced several Hindu scriptural translations, Vedanta essays, the biography Ramakrishna and His Disciples, novels, plays and screenplays, all imbued with the themes and character of Vedanta and the Upanishadic quest.  Vedanta and the West was the official publication of the Vedanta Society of Southern California. It offered essays by many of the leading intellectuals of the time and had contributions from Aldous Huxley, Gerald Heard, Alan Watts, J. Krishnamurti, W. Somerset Maugham, and many others. Isherwood was Managing Editor from 1943 until 1945. Together with Huxley and Heard, he was on the Editorial Advisory Board from 1951 until 1962. On Valentine's Day 1953, at the age of 48, he met teen-aged Don Bachardy among a group of friends on the beach at Santa Monica. Despite the age difference, this meeting began a partnership that, though interrupted by affairs and separations, continued until the end of Isherwood's life. During the early months of their affair, Isherwood finished (and Bachardy typed) the novel he had been working on for some years, The World in the Evening (1954). Isherwood also taught a course on modern English literature at Los Angeles State College (now California State University, Los Angeles) for several years during the 1950s and early '60s. In the opinion of many reviewers, Isherwood's finest achievement was his 1964 novel, A Single Man, that depicts one day in the life of George Falconer, a middle-aged, gay Englishman who is a professor at a Los Angeles university. 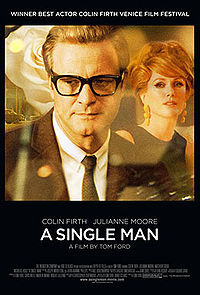 It was directed by fashion designer Tom Ford and stars Colin Firth as the protagonist. Isherwood and Bachardy lived together in Santa Monica for the rest of Isherwood's life. At the age of 81, Isherwood died in 1986 in Santa Monica, California from prostate cancer. Their lifelong relationship is chronicled in the film, Chris & Don: A Love Story.